Sir Arthur Conan Doyle's classic tales of mystery present three of Mr. Sherlock Holmes and his associate Dr. Watson investigations. The Adventure of the Red-Headed League uncovers a complex theft. The Adventure of the Speckled Band thwarts a murder. And the Adventure of the Copper Beaches reveals the reasons for a strange request from an employer. 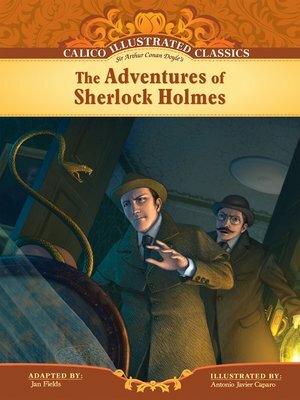 Discover the facts uncovered by Watson and Holmes's deductions in the Calico Illustrated Classics adaptation of Doyle's The Adventures of Sherlock Holmes.